Yury Magalif lives and breathes the latest End-User Computing (EUC), Hybrid Cloud, Desktop Virtualization (VDI), Cloud, Storage & Data Center technologies. He led teams that designed and implemented Virtual infrastructure for clients ranging from Fortune 500 companies like Walt Disney and Bank of America to government entities like NJ Department of Transportation and Columbia University. For the past 6 years, Yury presented at the Hewlett-Packard Discover conference, where his lectures are in the top 10 by attendance and score above 90% in satisfaction rate. 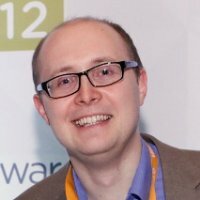 Yury works at Computer Design & Integration, LLC (CDI) in New Jersey as a Chief Architect for Managed Services and Cloud Computing. He holds certificates from Cisco, HP, VMware, Microsoft, EMC, NetApp and other manufacturers. To protect against automated robots that gather email addresses for spam, I use ReCAPTCHA technology. Click on the 3 dots in my email below. In the opened page, type the two words, and click the “Reveal email address” button. Cloud-zebra.com is a personal blog written and edited by Yury Magalif, and does not reflect the views of his employer, CDI, and/or clients. This blog does not accept any form of cash advertising, sponsorship, or paid topic insertions. Employed as a Chief Architect, Managed Services & Cloud Computing at Computer Design & Integration, LLC (CDI) in New Jersey. Disclaimers updated April 2, 2013.